Russia will appeal to the International Court of Justice if Ukrainian President Petro Poroshenko signs a moratorium on the payment of Ukraine’s external debt into law and fails to pay its debt to Russia, said Russian Finance Minister Anton Siluanov. 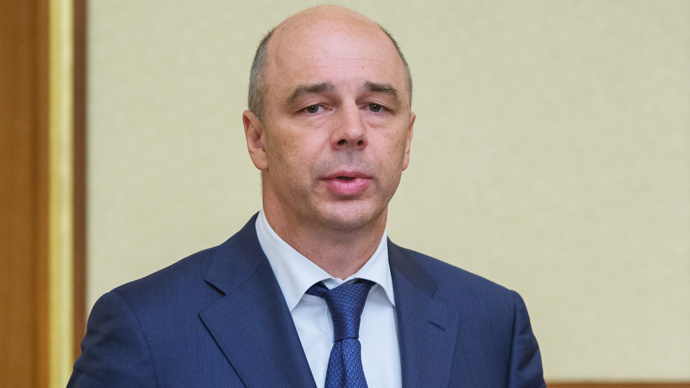 Siluanov said Ukraine was virtually defaulting on its debt, adding that Russia doesn’t yet have grounds to lodge any claims. If Kiev fails to pay $75 million in June, Moscow will use its right to appeal to the court, the Minister said. The Ukrainian parliament has adopted a law allowing the country not to pay foreign debt to private lenders, saying it needs to protect the ailing economy and people from “unscrupulous” creditors. The bill says the $3 billion in Ukrainian Eurobonds purchased by Russia at the end of 2013 are on the list of liabilities subject to a possible payment moratorium. Experts agree that Tuesday vote meant a technical default for the country and would impede Ukraine’s ability to raise private investment from the EU and the European Bank for Reconstruction and Development (EBRD) and the European Investment Bank (EIB), a European source told TASS on Wednesday. "Suspension of debt payments not coordinated with creditors results in a technical default, and in the case of Ukraine, it threatens to undermine Kiev’s ability to attract private investment through EU programs,“ the source said. As part of the underpinning of Kiev’s bailout plan, the International Monetary Fund said in March that Russia would not receive the $3 billion bond repayment from Ukraine this year. IMF is looking for cooperation from creditors to accept a restructuring on Kiev’s debt. That includes Russia. “It is rather clear that the IMF is assuming that Russia’s $3 billion bond is included in this year’s $5.2 billion financing from a ‘debt operation’,” said Charles Blitzer of Blitzer Consulting and a former IMF staff member. The IMF is avoiding the term ‘restructuring’ replacing it with ‘debt operation’. At the G20 summit in Istanbul in February Siluanov rejected Ukraine’s request to restructure its $3 billion debt. “We expect all the commitments of Ukraine to be fulfilled this year in December. Any budget income in foreign currency is important to us," said Russian Finance Minister.